Spring is dancing around the edges here. 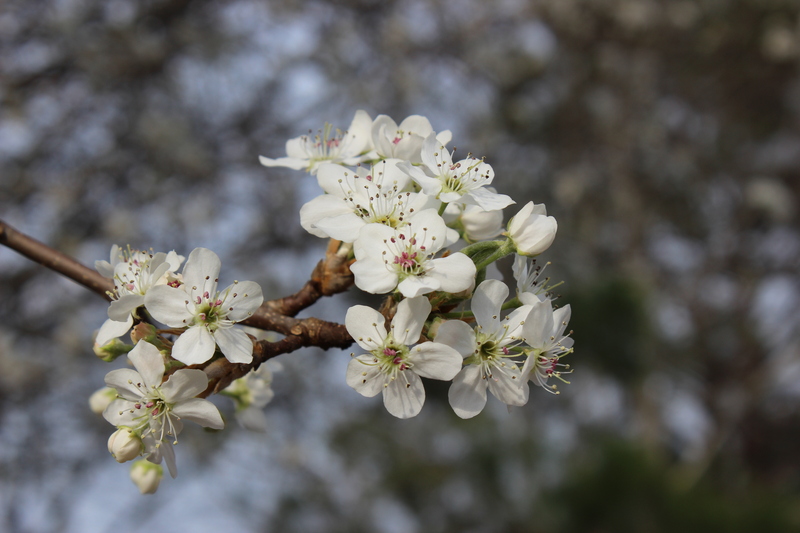 The pear trees are blooming beautifully, daffodils are popping up in the most surprising places piercing the gloom of rainy overcast days of late, foreshadowing the coming sunny days ahead. Life has become a little more complicated. DH is scheduled for surgery, we are moving the sewing studio to the bonus room and there are some home improvements being worked to improve storage solutions. The physical labor to move the studio and preparing the rooms for work taxes me and I really do not have an area for my sewing machine set-up yet. In the next few days I will be moving furniture upstairs and painting. I would like to complete this before the weekend. I am working on some knitting and some cross stitch but not at a stage to share a whole project. 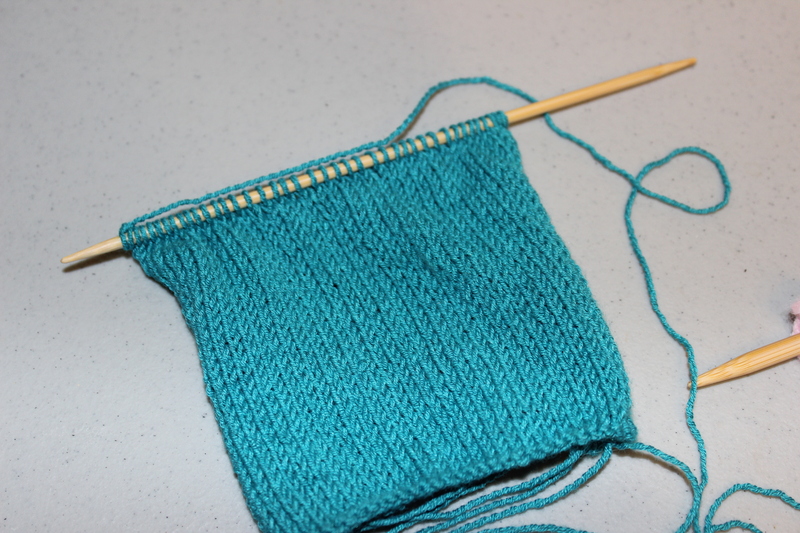 The one really neat knitting step I learned in the last two weeks was about swatching in the round. In preparing to knit the Fair Isle Cowl, knit in the round, I learned that the more accurate way to swatch was to knit it in the round on double pointed needles carrying the yarn across the back to again knit it across. 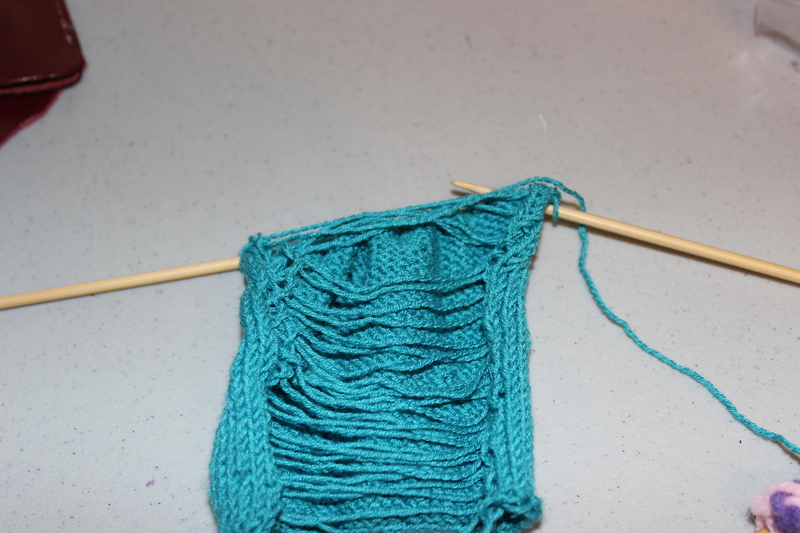 Below, see both sides of the knitting. A really neat step and more accurate reflection of your knitting in the round. I took a carload to Atlanta to the Original Sewing and Quilt Expo. We had a delightful time together working our way through the vendor area. In the midst of this one of my friends and I worked out a challenge for ourselves. We will work and complete a garment for ourselves by 1 June 2014. This should be doable. I am thinking that my project will be a skirt. Enjoy the magic of spring, needle on! This entry was posted in Knitting, Sewing and tagged Cross Stitch, knitting, Sewing. Bookmark the permalink.